For kids, most are looking for a different degree of scariness compared to adults during the Halloween season. They're looking for a fun scare. 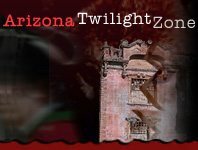 For those who want a little friendly scare during the Halloween season, head to one of Arizona's Not-So-Scary Kid Friendly Haunted Houses. These attractions are made to suit the young crowd so they still get to enjoy the ghosts and goblins of Halloween, but in a light-hearted, friendly way.